he apostles came back to Jesus and told him everything they’d done and taught. There was so much to-ing and fro-ing that they’d not had a chance to eat, so he said to them, ‘Come. Go off by yourselves to a secluded place and rest for a while.’ They went off in the boat by themselves to a deserted spot, but many people who’d seen and recognised them as they were setting off ran on foot from all the towns and arrived at the place before them. When Jesus disembarked he saw a huge crowd and he was moved with pity for them because they were like sheep without a shepherd. He began to teach them many things. It was already late and his disciples came up to him and said, ‘This place is off the beaten track and it’s getting late. Send the crowds away so that they can go into the surrounding towns and villages to buy themselves something to eat.’ Jesus replied, ‘You give them something to eat.’ They said, ‘It would cost six months’ wages to feed them all!’ He said to them, ‘Go and see how many loaves you have.’ When they’d found out they said, ‘Five, and two fish.’ He told the people to sit in groups on the green grass, so they sat down in groups of fifty or a hundred, looking like so many garden plots. Taking the five loaves and the two fish and looking up to heaven, he blessed and broke the bread and gave it to his disciples to distribute. He also divided up the two fish. They all ate their fill and, after five thousand men had eaten, there was enough bread and fish left over to fill twelve baskets. Aurangzeb sold caps for a living. He would travel to a village, set up his stall in the market place and sell his caps to the locals. One day, while travelling from one village to the next, he was very tired. The sun was shining, and he’d had a busy morning, so he put down his heavy sack of caps and sat down in the shade of a mango tree for a snooze. After an hour or so he woke up refreshed, but when he picked up his sack he found that it was empty. ‘Where are my caps?’ he thought. ‘I’m sure this sack was nearly full when I went to sleep.’ Just then he looked up into the tree and he saw a gang of monkeys each with a cap on its head. ‘Hey, those are my caps!’ shouted Aurangzeb. ‘Give them back to me!’ But the monkeys just seemed to mock him, imitating his shout. So he pulled a funny face, and each of the monkeys pulled a funny face, too. But they wouldn’t give him back his caps. He picked up a stone and threw it at the monkeys. They responded by throwing mangoes at him. He was really angry now, and in his frustration, he took off his own cap and threw it to the ground. The monkeys took off their caps and threw them to the ground! They were imitating him! Without further ado, Aurangzeb picked up all the caps from the grass, put them in his sack, and went on his way, thinking how clever he’d been to outsmart the monkeys. These two solstice points – along with the two equinoxes - always had great significance for our ancestors, who were much more aware of these celestial cycles than we are, and who celebrated the ‘stations’ of the sun with parties and bonfires, singing and storytelling. 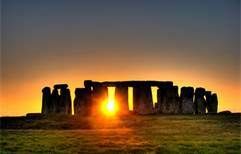 Ancient sites in Ireland and Britain testify to the importance of the solstices to ancient peoples. Newgrange is primarily associated with the winter solstice, but Stonehenge marks the summer solstice, and there would have been plenty of activity around these two sites on Thursday last, as well as on the Hill of Tara in Co. Meath, and at Dowth in the Boyne valley. In some parts of the world, there have been revivals of ancient dances, in which men and women move in snake-like procession through the streets, imitating the undulating movements of the sun in its yearly cycle through the heavens. London to Cornwall via Manchester, and it has given scholars no end of trouble for centuries, and fuelled numerous theories. It shows that Mark didn’t know his geography too well, they say, or that he was probably not a native of the area. But, in reality, it is a little joke by the Gospel’s author. It shows a crab-like, scuttling, to-ing and fro-ing movement, and it is Mark’s way of putting yet another Cancerian signature on this section of his Gospel. traditional values, and a concern for history and ancestry. The past has an enormous influence on the strongly Cancerian person, and it is absolutely appropriate that the world’s greatest literary celebration of the past, Marcel Proust’s A La Récherche du Temps Perdu – Remembrance of Things Past – should have been written by a Cancerian. Proust was born on July 10th 1871, and, according to his biographers, he spent much of his time wrapped, crab like, in a cocoon of blankets. 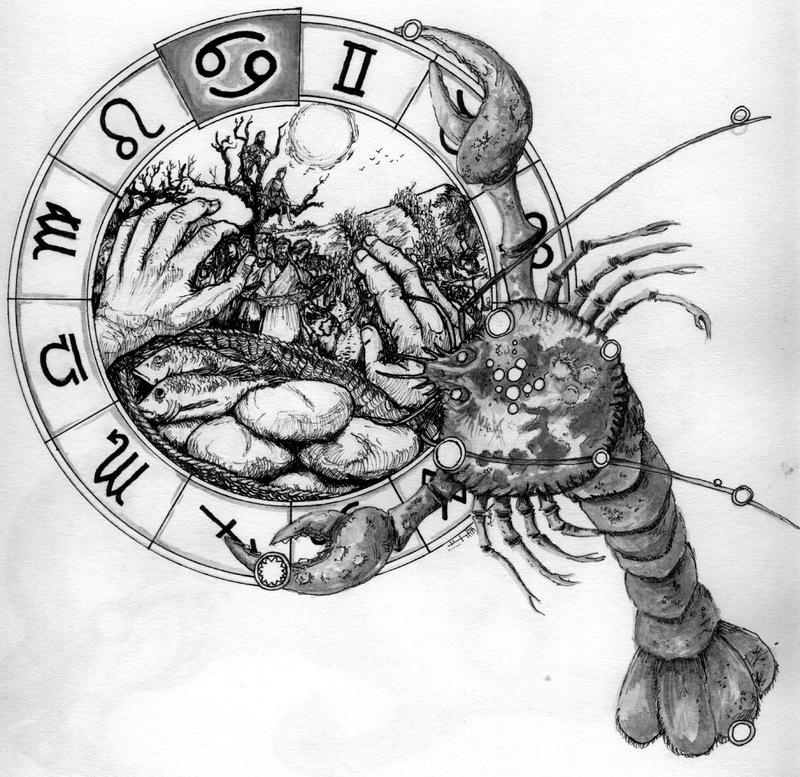 Cancerians are nurturers and protectors, figuratively putting their arms around those close to them, in an attempt to shield them from life’s vicissitudes. The Crab manifests in other ways in the American psyche, and I was amused in the 1980s when President Reagan began proposing his ‘star wars’ project, whose intention was to place a ‘protective shell’ around America to keep out all enemy missiles: ‘protective shell’ was the actual term used. The so-called Monroe Doctrine – American isolationism – is another political expression of Cancer, as is the persistent call for those ‘family values’ which all American politicians must claim to espouse if they are to have any success whatsoever at the polls. Even the apparent obsession of American visitors to Europe with discovering their ancestry, and explaining with some precision that they are one eighth English, two fifths Danish and three tenths Cherokee, reflects the sign Cancer, and it is strange to think that Mormonism, the one major world religion which can claim a uniquely American birth, has a preoccupation with genealogy as one of its distinguishing characteristics. You may be inclined to retort, rationalists that you are, that the American obsession with genealogy is simply a feature of their colonial past. A good try, but it won’t work. You don’t find nearly the same preoccupation with ancestry among Australians and New Zealanders. As the world becomes accustomed to the American way of life, Americans are tuning out the rest of the world. US citizens have paid less and less attention to foreign affairs since the 1970s......... The number of university students studying foreign languages has declined, and fewer Americans travel overseas than their counterparts in other developed countries. News coverage of foreign affairs has also decreased. Why are Americans withdrawing from the global village? In America today, we seem to prize the self-reliant ideal more than ever. In fact, so much do we prize it that we don’t want to pay taxes to support the common good. In one hyper-wealthy Silicon Valley town, where houses commonly sell for more than $2m, the streets are full of potholes: when I visited, I was told that town residents would rather ruin their own cars than pay taxes so that someone else could drive in safety. But the author of this Gospel was no fool to be patronised, still less was he a poor historian or a poor geographer. In my view he was nothing short of a genius, and he knew perfectly well what he was doing. He deliberately has two feeding stories because he wants to make a very important point relating to Jewish clannishness. The stories are indeed the same except for a few details. But the details are crucial to a proper understanding of their meaning. Bread and fish are used in both – for reasons which we will discuss on another occasion[iv] - but while the feeding of the Five Thousand takes place in Jewish territory, the feeding of the Four thousand occurs in a predominantly Gentile area. And the numbers are significant. 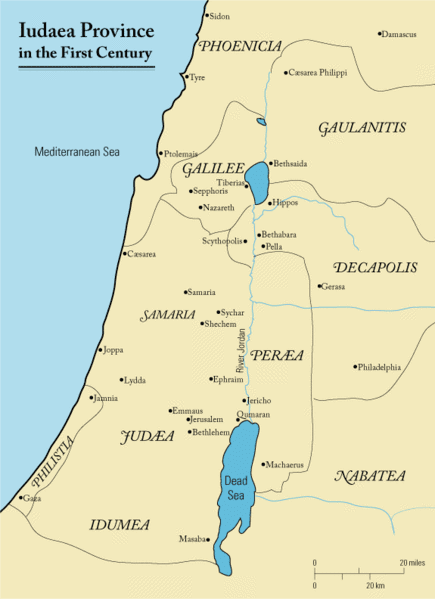 In the feeding of the Five Thousand, the predominant numbers are 5 and 12 – ‘Jewish’ numbers – the ‘five’ reflecting the five books of Moses, the Pentateuch, considered to be Judaism’s holiest books; and the 12 representing the twelve tribes of Israel. So, in this incident, Jesus is shown feeding the Jews. The predominant numbers in the other incident are 7 and 4, readily identified as ‘Gentile’ numbers: the Jews believed that there were 70 Gentile nations (the zero is irrelevant in this kind of numerology) scattered around the ‘four corners’ of the earth.